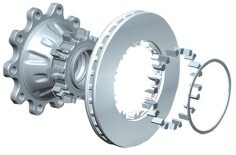 By the introduction of significant further developments such as the monobloc design, the brake caliper, the use of the “splined disc” which reduces heat cracking and the continuous improvement of the product with regard to customer value has further increased Knorr-Bremse´s position as leader in the field of providers of disc brakes and complete systems for the commercial vehicle industry. 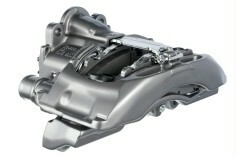 Worldwide, Knorr-Bremse has produced almost 20 million disc brakes. The disc brake is the wheel brake for heavy goods vehicles. With the pneumatically tensioned disc brake, Knorr-Bremse has set the benchmarks for commercial vehicles with a total weight of from 6 to over 44 tonnes. The crucial advantages over conventional systems are: low weight, compact design, even brake pad wear, improved servicing convenience, cost savings and increased safety.